"I haven't even played anything and we're having technical difficulties," Ian O'Neil said sheepishly, as he realized the mic pointed at his guitar's sound hole wasn't on. Creedence's "Green River" seeped out over the PA, and O'Neil's Deer Tick comrade Dennis Ryan started shuffling. Ian mimed playing the song for a laugh. With the mic reinstated, it was time to begin. The duo managed to get through one verse of "Bury Deep" before some atrocious feedback forced them to stop. O'Neil borrowed headliner Robert Ellis' electric, and started over from the top. The two followed that with "Walkin Out the Door," one of Ian's Deer Tick numbers. Ryan moved aside for "I Got Nothing Left to Give to the Toilet," which O'Neil revealed to be a tune by Happiness, the duo's new side project. Curiously, Dennis was silent for both songs identified as Happiness tracks. "Oh Lord, Your Fire is with Me" was a slower one, but Ian's gentle "ooh"s had a melody fit for an anthemic pop song. After covering Neil Young's "Don't Cry No Tears," he played "On the Beach," a Happiness original not to be confused with another song by Young. Dennis returned to the mic again for "She's Not Spanish" and "The Dream's in the Ditch," a song so catchy that Robert Ellis was onstage singing along by verse two. Before finishing his set with "Maybellene," O'Neil thanked the crowd for showing up for his first NYC solo gig. I guess he doesn't count Brooklyn Bowl, where I saw him open for Deer Tick three times. Robert Ellis kicked things off with "Westbound Train," which grew steadily into a full-on country romp, accented by the wonderful pedal steel of Will Van Horn. 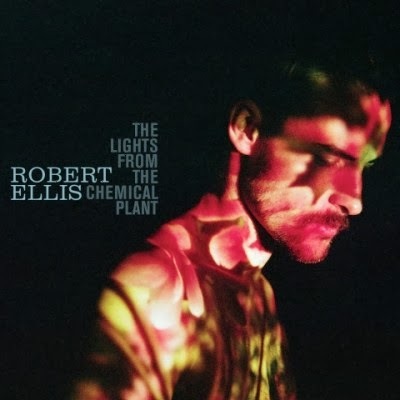 It was the night's only offering from 2011's Photographs, as a week ago, Robert dropped his third album, The Lights from the Chemical Plant. Refusing to be pigeonholed as just a country artist, Ellis used the new tunes to exemplify his stylistic diversity. "Pride" wrapped up with a section that verged on prog, and "Steady as the Rising Sun" had a smooth R&B flavor. "I always tell people they might want to get a pregnancy test after that guitar solo," Robert laughed, commending the talents of Kelly Doyle. While "Rising Sun" may be the only love song on the record, that distinction only extends to animate objects, with Ellis' affair with television cleverly expressed in "TV Song." "Not to be confused with the 'TV Song' by Ministry. We have a lot of crossover fans," he joked. The band dropped out for the song's Walt Disney verse, allowing Robert to captivate the room solely with his sweet, southern voice. Ellis went it alone for the somber "Tour Song," and then invited the band back for the propulsive jazz-rock of the brand new "Elephant." Ellis offered up some time for a Doyle instrumental, and then he put his guitar down. Grabbing the mic from its stand, Robert dove into "Still Crazy After All These Years," which he covers on Chemical Plant. It's clearly one of his favorite songs, evident in his enthusiasm whilst singing, but his excitement got the best of him, and it sort of felt like karaoke. He fared better when he grabbed a Telecaster for a countrified spin on Richard Thompson's "Tear-Stained Letter," assisted on vocals by Dennis Ryan back at the drumkit. "They have a curfew here, so this is the encore," Ellis remarked as the band embarked on a jam that contained all the creaks and shrieks of a haunted house before it melted into the burning bluegrass of "Sing Along." Robert has claimed that he wants to avoid gigs at honky-tonk bars because they may not be as receptive to his genre-jumping. It was obvious that the hip NYC crowd at Mercury Lounge loved it all, especially the country stompers.